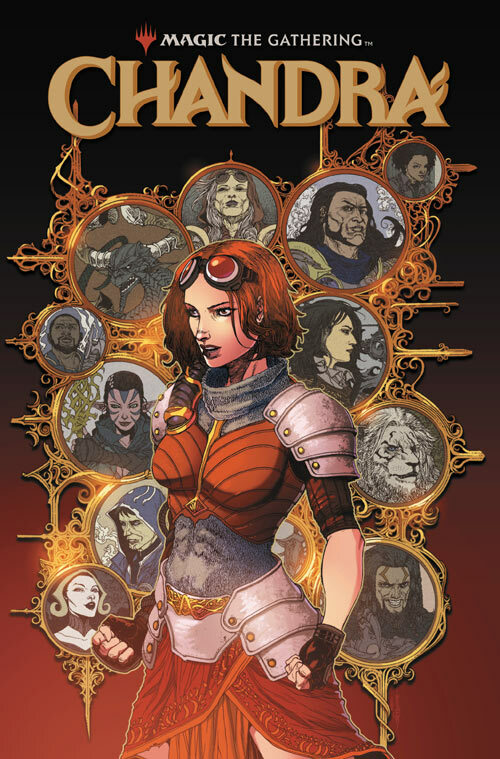 Some news we had previously posted about in August earlier this year - another reboot to the Magic: the Gathering comics by IDW Publishing. 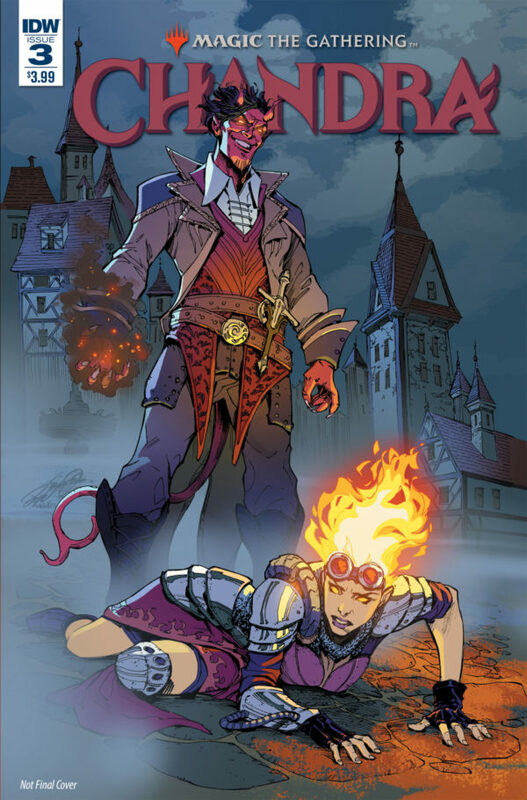 This new short series is to deliver all-new stories focused on the red-aligned pyrmancer, the Planeswalker Chandra Nalaar. The first issue is to be released next month (November 28, 2018). 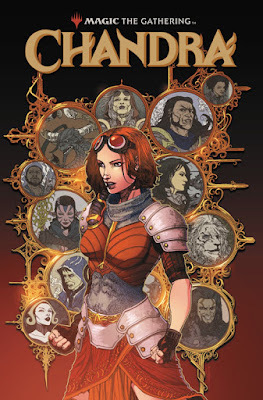 For more details on the series, read this article at IDW Publishing. This is a card that attempts to neutralise the power of another card or strategy. 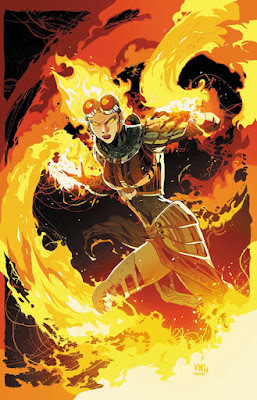 Wizards of the Coast prints these sorts of cards as a sort of a safety valve in order to bring balance (to the force) to a metagame which may gravitate toward card or strategy and goes on to become too powerful or dominant. By way of example, a commond hate card may be printed for use against powerful decklists which makes use of the graveyard as s resource - in this scenario, there may a a 'graveyard hate' card like Grafdigger's Cage. This can be used to describe any 2 mana 2/2 creature with no other abilities and in all likelihood obtains its name from the beloved and very bland vanilla Grizzly Bear, and is not restricted to just green, but every colour. We now put those two together to get 'Hate Bear'. This is a hate card, but more specifically also a creature, almost always referring to a two-powered creature for two mana. 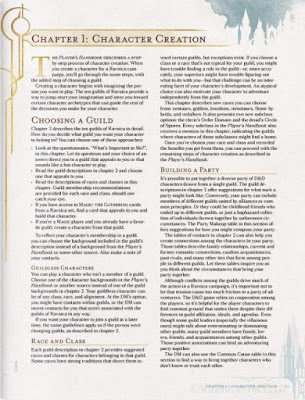 Such examples such as Containment Priest, Leonin Arbiter, Kor Firewalker, Gaddock Teeg, Ash Zealot, etc., but will have that lovely rules text which is where all the value is. Here is a prime example of a 'hate bear' currently in standard - 'Tocatli Honor Guard'. 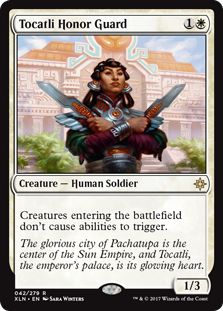 This human soldier casts for one colourless and one white (2 CMC) and has a body of one power and three toughness which is kinda, sorta close to bear stats. 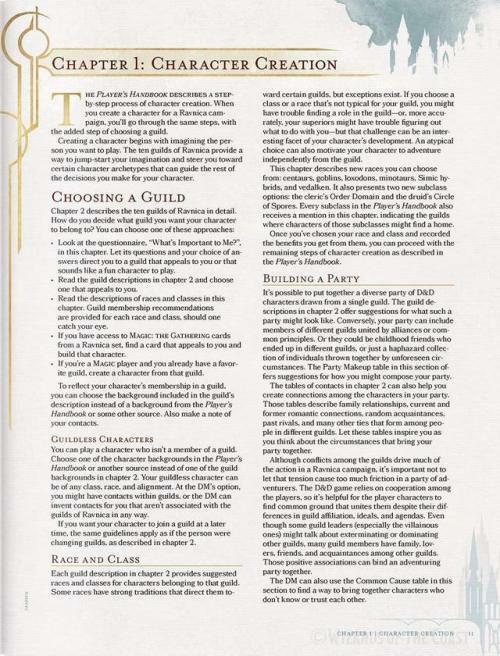 The rules text here is "Creatures entering the battlefield don't cause abilities to trigger". We did not count, but reckon that there may be approximately 150 cards or so which may be affected by such a particular card as Tocatli Honor Guard. Cards such as the enchantment Ajani's Welcome, which would allow its controller to gain one life whenever a creature enters the battlefield under their control is now nerf'd. Similarily, popular cards such as Kraul Harpooner and Ravenous Chupacabra loose all value. The TLDR here is that if you are running a decklist with white in it, consider at the very least leaving space for perhaps three Honor Guards. Currently priced at a very reasonable 50 cents, we are somewhat surprised that we have not seen more of these cards hose the competition at the game tables. 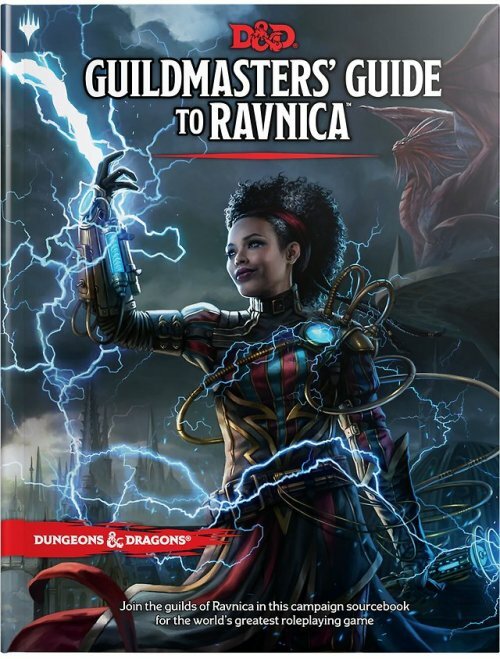 Tomorrow evening, Magic: the Gathering players will experience a brand new standard format as the newest set, Guilds of Ravnica is released. 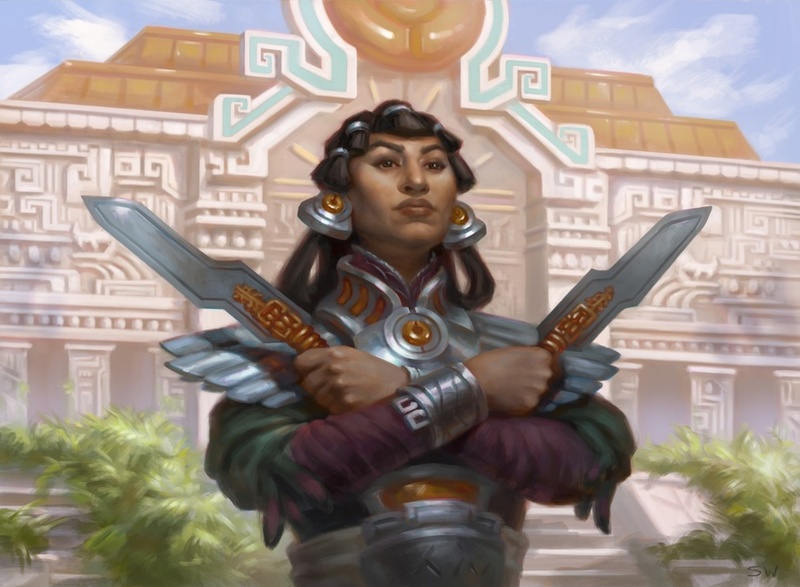 Four sets - Amonkhet / Hour of Devastation and Kaladesh / Aether Revolt will be rotating out. Typically, we would now tell you something along the lines of 'Thank goodness, X is finally rotating' given that 'X' was such pain to deal with at Friday Night Magic. Not so much this time - really no complaints, although some players will be sad to see Walking Ballista walk off the stage. There will be of course some nostalgia for the Kaladesh / Aether Revolt Energy Decks, but Wizards of the Coast did kill those off fairly early in January, 2018 with the Anning of Attune with Aether and Rogue Refiner. Anywhoos, let us not dwell on the past but rather this Friday. Should you still have some hesitation as to what new / improved Guilds of Ravnica standard decklist should be, do not look any further. 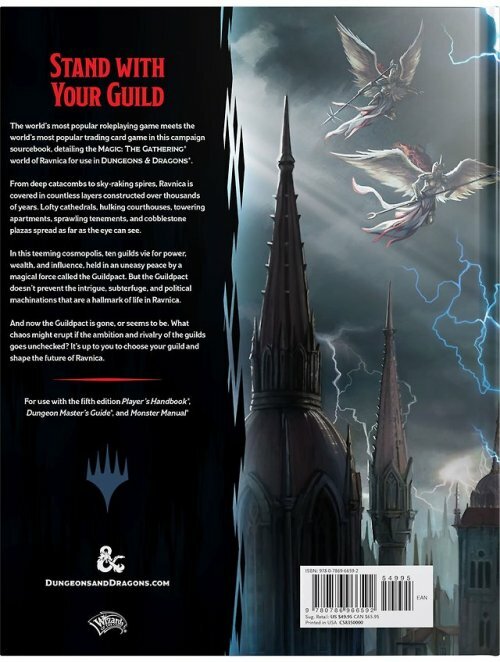 It is that time again with the very popular HareruyaWayfinder, Guilds of Ravnica edition where Kenji Tsumura and other Magic: the Gathering Pros provide a number of suggestions as to what to build, or rather build upon, seasoned with your own personal preferences and the particular local metagame. 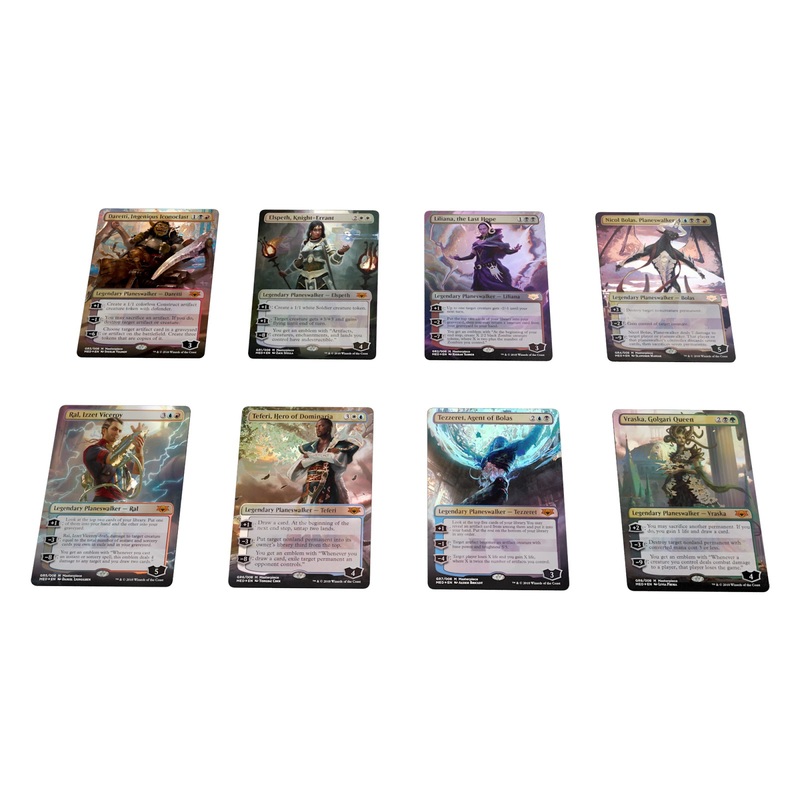 There are 18 standard format decklists and something for everyone, whether your game is Aggro, Midrange, Tokens or Control. There are also 5 Modern Decks to look over as well. 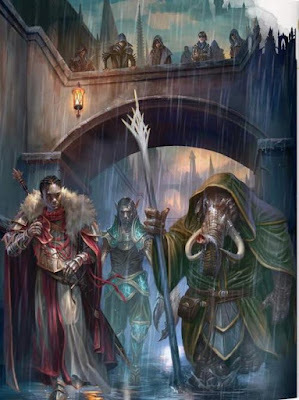 The complete list is posted over at the Hareruya MTG website linked right here. Today may be a rather special day as the Guilds of Ravnica Mythic Edition had been released for sale on the online Hasbro Toy Shop. This is the new foil Masterpiece series vehicle for Guilds of Ravnica. Prior distribution was originally within randomly inserted boosters. 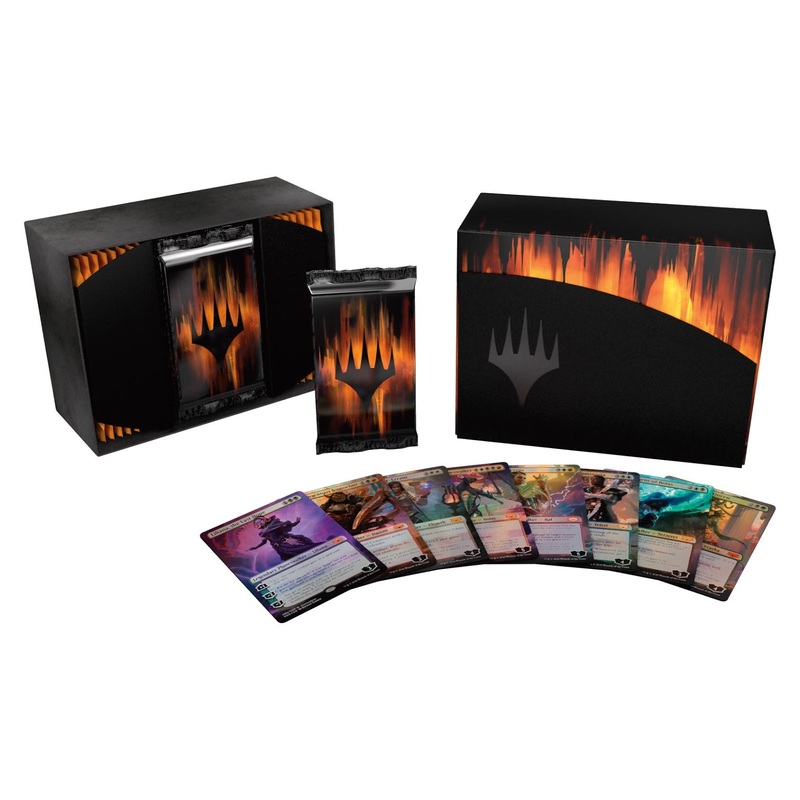 The package specifically is a handsome looking draft-sized booster box containing a total of 24 booster packs of Guilds of Ravnica. Out of the 24 packs, 8 will be the special Mythic Edition packs, which will be clearly marked as to which of the special Planeswalker cards is contained for that pack. This experimental product, produced in a limited quantity, was posted online today (October 3, 2018) for $249.99, or, should you live in Canada like us, approximately $380 which addresses the current tariff, provincial sales tax and of course, the exchange rate ( $1 USD = $0.78 CD ). At the time of posting, there was a short delay and some reports of issues processing orders through the Hasbro Toy Shop page. There was at the time of announcement which provided the details and pricing some negative feedback from the Magic: the Gathering community, which generally centered upon the limiting exclusivity of the product along the lines of geographic availability and pricing. There were a few posts from Mark Rosewater in addition to a more formal communication posted to the Daily MTG website (linked here). Although we feel that some of the more serious Magic: the Gathering fans may draft the box, the lion's share of the product is likely to be picked up by collectors. All of this is fine as MTG is both an amazing card game, but also must be noted that this is indeed a collectible card game. Wizards of the Coast has never had a packaged product in this price range before, but we will certainly not fault them in producing such should customers be willing to pay. 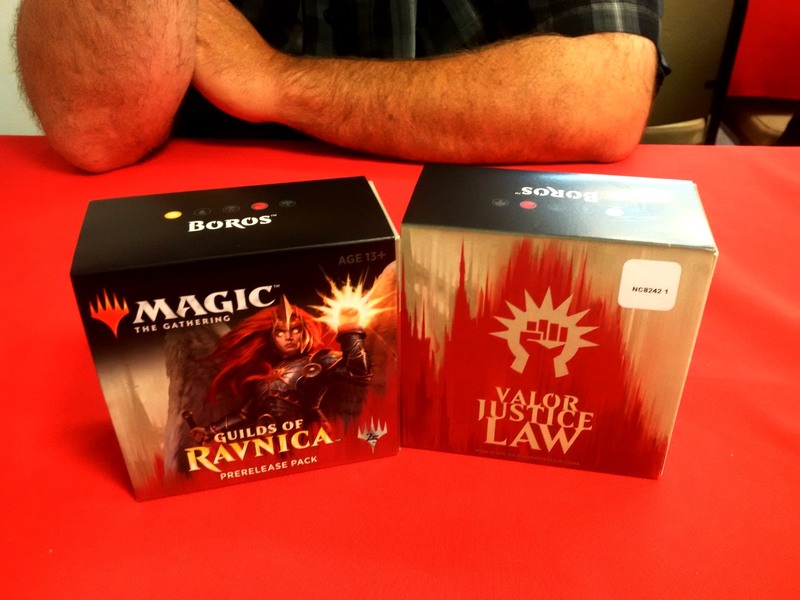 On the weekend, we, like many other Magic: the Gathering players dropped over to the local gaming store to participate in the Guilds of Ravnica PreRelease. 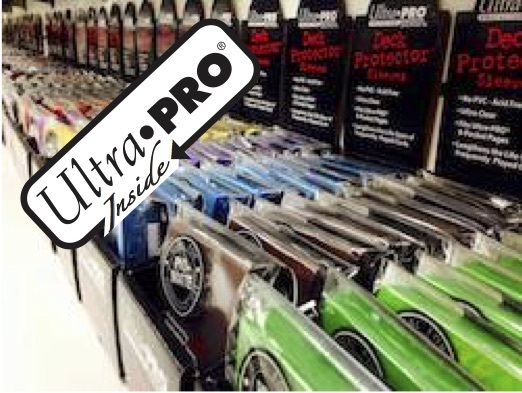 Specifically, we went on Sunday to our fav store here in Barrie, Ontario - OMG! Games, because, like Fblthp, we don't care very much for crowds. The Friday midnight prerelease event had 50+ players, which is pretty much close to capacity for our local gaming store. The Sunday morning session had under 30 and was likely much less rowdy and rambunctious. 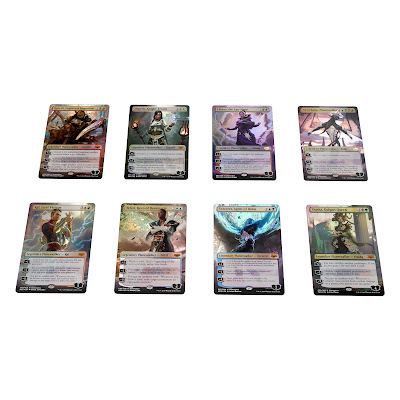 For Sunday, if you had not yet reserved a Prerelease Kit of the Guild of your choice, the selections were limited to Boros and Izzet. We picked Boros and whined about the chances now somewhat diminished of scoring an Assasin's Trophy in a Golgari Prelease Kit. Although the date=stamped foil Assassin's Trophy cards are currently fetching values at just under a $100, we were more than happy to be able to pull a regular one out of our kit. Quite obviously the chances were slim on forcing colours from our red / white Boros kit to accomodate our singular Golgari card. 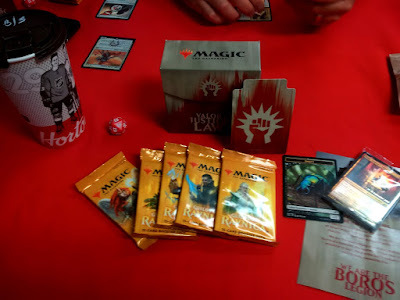 There were no clear winners in our sealed pool of cards but the seeded pack. The comments we do have is that we love seeded packs, perhaps because our limited game is not our strong suite. 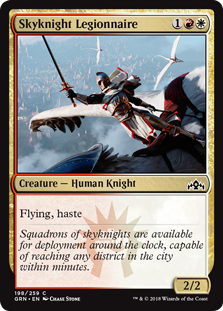 The other comment is that we did pull two Skyknight Legionnaire cards and we think this did a lot of the heavy lifting during most of our early games. Most definitely looking forward to the new standard format next week. 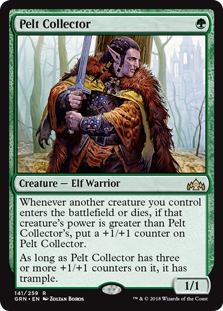 When we first saw Pelt Collector previewed, our thoughts immediately reviewed how well Experiment One performed when it was introduced in Gatecrash. 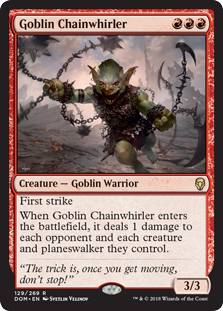 We picked up a full deckset for just $3 and now see that the card is going for about $13 locally now, which makes us feel good about the first few weeks of standard, perhaps in a mostly green Steel Leaf stompy aggressive build.